Brother Jesse Blog: WTH?! Mumia is Still Being Unjustly Held in “The Hole” at SCI Mahanoy. Sign The Petition! This is absurd! I'm so sick of this criminal injustice system. According to FreeMumia.com "Mumia Abu-Jamal is being held in Administrative Custody (“The Hole” or Solitary Confinement) at SCI Mahanoy, Frackville, PA. Mumia’s death sentence has been dropped, and though he is supposed to be in General Population, he has been held in Solitary Confinement – shackled whenever he’s out side his cell (even to the shower), glaring lights 24/7, no regular phone calls, restrictive visits, inadequate commissary, no access to his materials and denied his typewriter." I just signed the petition that calls for him being released to the General Population. I encourage all of the my blog readers to do the same @ https://www.change.org/petitions/transfer-and-assign-mumia-abu-jamal-to-general-population. The goal is 5,000 signatures. Let's exceed this immediately. Free Mumia! Free Mumia! 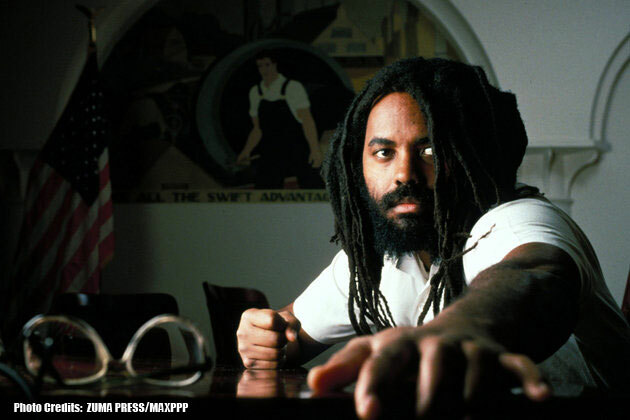 Free Mumia!